Gillian runs her own independent HR Consultancy business – HRAngill (www.hrangill.com), which specialises in Ethical Compliance and HR Support / Expertise. Her clients include major food manufacturing and produce suppliers, high street retailers, trade association, financial services and logistics companies. Her role as Head of Policy for the ALP is focused on supporting members and developing policies that address issues important to labour providers. The key focus currently is around labour shortages due to Brexit and how to source and retain labour in a full employment economy. Alongside her consultancy work, Gillian also has on-line tools business – HRMagik (www.hrmagik.com). This aims to provide small to medium size businesses with access to HR and Business online tools at affordable prices to manage their people resource more effectively including employee surveys. Previous to this, Gillian worked for Geest / Bakkavor. Her last role was the Group Head of HR, which she held for 7 years. Bakkavor is a leading international food manufacturing company specialising in fresh prepared foods and produce. 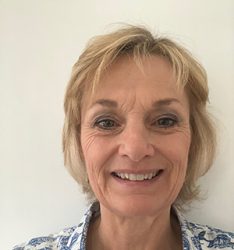 A business studies graduate and Fellow of the CIPD with over 30 years of HR experience, Gillian has held many HR roles at both operational and group level.